The MR26 is managed via the Meraki cloud, with an intuitive browser-based interface that lets you get up and running quickly without training or certifications. Since the MR26 is self-configuring and managed over the web, it can even be deployed at a remote location without on-site IT staff. The MR26 is monitored 24×7 via the cloud, which delivers real-time alerts if your network encounters problems. Remote diagnostics tools enable real-time troubleshooting over the web, meaning multi-site, distributed networks can be managed remotely. The MR26’s firmware is always kept up to date from the cloud. New features, bug fixes, and enhancements are delivered seamlessly over the web, meaning no manual software updates to download or missing security patches to worry about. The MR26 uses three spatial streams to provide data rates of up to 450 Mbps per radio, for a combined 900 Mbps. Technologies like transmit beamforming and enhanced receive sensitivity give the MR26 increased range compared to typical enterprise-class access points, resulting in fewer required APs for a given deployment. In addition, the MR26 uses band steering to automatically serve 5 GHz-capable clients with the 5 GHz radio, maximizing capacity in the 2.4 GHz range for older 802.11b/g and 2.4 GHz-only clients. The MR26’s dedicated dual-band third radio scans the environment continuously, characterizing RF interference and containing wireless threats like rogue access points. No more need to choose between wireless security, advanced RF analysis, and serving client data: a dedicated third radio means that all three occur in real-time, without any impact to client traffic or AP throughput. The MR26 includes an integrated layer 7 packet inspection, classification, and control engine, enabling QoS policies based on traffic type. Integrated support for Wireless Multi Media (WMM) and 802.1p DSCP tagging. Prioritize your mission critical applications, while setting limits on recreational traffic, e.g., peer-to-peer and video streaming. The MR26’s sophisticated, automated RF optimization means that there is no need for the dedicated hardware and RF expertise typically required to tune a wireless network. An integrated spectrum analyzer monitors the airspace for neighboring WiFi devices as well as non-802.11 interference – microwave ovens, Bluetooth headsets, etc. The Meraki cloud then automatically optimizes the MR26’s channel selection, transmit power, and client connection settings, providing optimal performance even under challenging RF conditions. The MR26 features integrated, easy-to-use security technologies to provide secure connectivity for employees and guests alike. Advanced security features such as AES hardware-based encryption and WPA2-Enterprise authentication with 802.1X and Active Directory integration provide wire-like security while still being easy to configure. One-click guest isolation provides secure, Internet-only access for visitors. The integrated policy firewall (Identity Policy Manager) enables granular group or device-based access control. Meraki Teleworker VPN makes it easy to extend the corporate LAN to remote sites, without requiring clients and devices to have client VPN software. PCI compliance reports check network settings against PCI requirements to simplify secure retail deployments. There’s no need to choose between a wireless intrusion prevention system (WIPS) and serving client data: thanks to the dedicated third radio, Air Marshal, a highly optimized built-in WIPS, scans continuously for threats and remediates them as commanded, all without disrupting client service. Alarms and auto-containment of malicious and rogue APs are configured via flexible remediation policies, ensuring optimal security and performance in even the most challenging wireless environments. The MR26’s advanced mesh technologies like multi-channel routing protocols and multiple gateway support enable scalable, high throughput coverage of hard-to-wire areas with zero configuration. 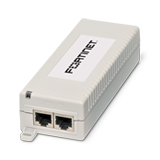 Mesh also improves network reliability – in the event of a switch or cable failure, the MR26 will automatically revert to mesh mode, providing continued gateway connectivity to clients. 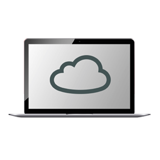 When plugged in, the MR26 automatically connects to the Meraki cloud, downloads its configuration, and joins the appropriate network. It self optimizes, determining the ideal channel, transmit power, and client connection parameters. It also self heals, responding automatically to switch failures and other errors. Despite its robust feature set, the MR26 is packaged in a sleek, low profile enclosure that blends seamlessly into any environment. 90% of the access point materials are recyclable. A maximum power draw of only 13.7 watts and a cloud-managed architecture mean that pollution, material utilization and electricity bill are minimized.